This will broadly cover the fields of “Food and Beverages” as well as for initiation of new prospects and to explore new tendencies in the field of “Food Technology & Food Science”. This includes keynote presentations, Oral talks, Poster presentations, Video presentation, and Exhibitions. European Food Conferences is overwhelmed to announce the commencement of “29th World Conference on Food and Beverages" which is going to be held on October 30-31, 2019 London, UK. The conference highlights the theme “Global leading improvement in Food Technology & Beverages Production” aimed to provide an opportunity for the professionals to discuss the technological advancements in the field of Food production and technology. Food & Beverages Conference is designed to provide a platform for Food Technologist, Microbiologist, Food safety officers, Nutritionists, Dietician, Quality control officers, Quality assurance officers, Scientists, Researchers, Biotechnologists, Industrialists, Food Engineers, and Food Professional from Manufacturing, Retail, and Food Service Industry. Bioinformatics plays a crucial role in predicting and assessing the desired and undesired effects of microorganisms on food. Genomics and proteomics study meet the requirements food production, food processing, improving the quality and nutritive value of food sources. Bioinformatics algorithm can also be used in producing the good quality of the crop including high yield and disease resistant. There are also variety of databases that contain data on food, beverages & their constituents, nutritive value, chemistry and biology. Sometimes improving flavour isn’t about adding or developing a new taste, but about enhancing an old recipe. Food technology professionals add, improve, and develop food flavour. Dairy Technology is a science and Food engineering field that deals with the study of milk processing and its products. It is a part of food technology, production and processing industry that involves processing, packaging, distribution and transportation of various dairy products such as milk and ice-cream by using the science of bacteriology, biochemistry, and nutrition. The field of dairy technology basically uses “technology” to make dairy products nutritious as well as useful. Food technology is a sub discipline of food science that concentrated on the production processes that make foods. Scientific research into food technology deals with food preservation. Food producers can use new biotechnology to produce new products with enhanced desirable nutrient characteristics. These include characteristics such as disease and drought-resistant plants, leaner meat and enhanced nutritional and flavour quality of foods. This technology has also been used to develop life-saving cancer treatment, vaccines, insulin, and other pharmaceuticals to improve quality of life. Food grading involves the assessment, inspection and sorting of various foods regarding market value, quality, freshness, and legal conformity. Food grading often done by hand, in which foods are assessed and sorted. Machinery is also used to grade foods, and may involve sorting products by size, quality and shape. Food production includes combined processes and infrastructure involved in feeding a population: growing, harvesting, processing, packaging, transporting, marketing, consumption, and disposal of food and food-related items. Developing new food, beverages and drink products is a complex process - requiring knowledge of ingredients, packaging materials, processing techniques, legislation and consumer demands and preferences. The difference between product development and research development and is that research and development is the conception phase in the product life cycle, while product development is the entire process of creating, designing, and marketing new products or existing products with new features. Food hygiene & safety is a major focus of food microbiology. Numerous agents of disease, pathogens can easily transmitted via food, including bacteria, and viruses. Microbial toxins are also possible contaminants of food. Finally, bacteriophages that only infect bacteria can be used to kill bacterial pathogens. There are simple and fast detection of bacteria, with a use of media containing chromogenic substrate such as Salmon-GAL. Certain enzymes, produced by some particular bacteria, cleave these substrates, resulting in the different coloration of specific bacteria colonies. This allows to clearly seeing the presence of the targeted microorganism, observed as a clearly observable color change. Most chromogenic media is intended for authentic detection of pathogenic bacteria. Food science is the study of food incorporating basic sciences such as biological and physical sciences to study the nature, deterioration and processing of food. Food technology is an area of food science that deals with the production processes that make foods. Early scientific research into food technology concentrated on food preservation. Quality assurance is a set of process for ensuring quality. Quality assurance is a procedure of inhibiting mistakes and defects in manufactured products and avoiding problems when delivering products to food market. The terms "quality assurance" and "quality control" are often used interchangeably to refer to ensuring the quality of a service or product. Food engineering is a multidisciplinary field which combines microbiology, applied physical sciences, chemistry, engineering for food and related industries. Food Engineering is the field where the science and engineering are used to process the food, preservation of food and storing of food in order to improve it's quality, texture, taste, smell to add value to the product. The term food preservation refers to a number of techniques used to prevent food from spoiling. Food preservation prevents the growth of harmful microorganisms, as well as slowing the oxidation of fats that cause rancidity. Food preservation incorporates processes that inhibit food deterioration, such as the enzymatic browning reaction in apples after they are cut during food preparation. Maintaining or creating nutritional value, texture and flavour is an important aspect of food preservation. Food can transmit pathogens which can result in the serious illness or death of the person or other animals. The main sources are bacteria, viruses, mold, and fungus. It can also serve as a growth and reproductive medium for several other hazardous pathogens. Food authentication is one of the most important sub discipline in food safety and quality control in every country. Regulatory authorities, food processors, retailers, and consumers are interested in knowing the quality, origin and nutrient value of foods. Food authentication is analytical procedure that validates label information about the food origin and production process. Agricultural technology is specifically about developing new technologies to expand food production. A main focus of agri-tech is reducing the impact of farming on the environment, but it can also increase productivity, profit, or health and safety. Agricultural and food scientists play a crucial role in maintaining and expanding the nation's food supply. Food scientists and technologists use chemistry, biology, and other sciences to study the basic elements of food & beverages. They analyse the nutritional value of food, discover new food sources, and research ways to make processed foods safe and healthy. Food and Beverages have a vital impact on diet. Eating healthy food maintains good health and reduces the risk of developing certain diseases. A healthy diet incorporates a variety of foods, especially foods with high nutritional quality. Food nourishes the body & mind. In addition to providing nutrients, healthy eating provides us with an opportunity to share with family and friends. Hence, healthy eating is a source of daily pleasure. Have you ever walked into a shop and just bought something simply because you found the packaging so attractive? The utmost function of packaging is preservation and protection from external contamination. This function involves extension of shelf life, retardation of deterioration and maintenance of quality and safety of packaged food. Packaging provide food protection from environmental hazard such as heat, oxygen, light, the presence or absence of moisture, pressure, enzymes, spurious odors, microorganisms, insects, dirt and dust particles, gaseous emissions etc. All of these main cause for deterioration of foods and beverages. Extended shelf life includes preventing of microbial, enzymatic and biochemical reactions through various strategies such as temperature control; moisture control; addition of chemicals such as salt, sugar, natural acids, carbon dioxide, removal of oxygen or a combination of these with effective packaging. By the use of Food technology, Food system has become more accessible than ever before. The whole system includes production and harvesting of agriculture products, transportation and distribution, raw material storage, manufacturing of food, selling the product to the consumers, service and preparation of food at home. Developments in food system, food science and food technology have accelerated the production and availability of healthy beverages & nutrient foods. Consumers may acquire health benefits from some products, but they may also suffer adverse health effects and economic losses. Despite medicine, which is administered on the recommendation of health professionals, foods are chosen directly by the consumer. Food labelling has a major role in providing consumers with proper information when choosing the desired products. Nanotechnology have emerged with increasing requirement of nanoparticle uses in various fields of food science and food microbiology, including food processing, food packaging, functional food development, food safety, detection of foodborne pathogens, and shelf-life extension of food and beverages products. Food technology can contribute in the fight against obesity by providing consumers with an increased variety of tasty, appealing foods that are lower in energy density and portion size than standard products. Poultry is a major source for human consumable animal protein. Poultry is the skeletal muscles of various birds and is a good source of protein, fat, and vitamins and minerals in the diet. Food processing incorporates the processes and techniques used to transform raw ingredients into human consumable food. Food processing takes harvested, clean, or slaughtered substances and uses them to produce marketable food products. There are various different ways in which food can be produced. 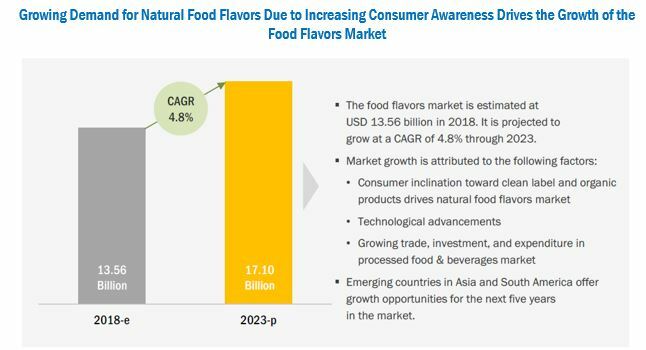 The food flavours market was valued at USD 12.94 billion in 2017; it is projected to grow at a CAGR of 4.8%, to reach USD 17.10 billion by 2023. The basic aim of the report is to segment, define, and project the global market size for food & beverages flavours on the basis of application, type, form, origin, and region. Other objectives include analysing the opportunities in the market for stakeholders and providing a competitive landscape of market trends, analysing the macro and microeconomic indicators of this market to provide factor analysis, and to project the growth rate of the food & beverages flavours market. The key players that are profiled in the report include Givaudan (Switzerland), International Flavors & Fragrances (US), Firmenich (Switzerland), Symrise (Germany), Frutarom (Israel), Sensient (US), MANE (France), Takasago (Japan), T.Hasegawa (Japan), and Robertet (France). The study reveals several questions for stakeholders, which market segments to focus on in the next two to five years for prioritizing efforts and investments. This is the finest opportunity to interact with participants from the Food & Beverages associations, Food Biotechnology Associations, Food Microbiology Societies, and Food Science Academicians. 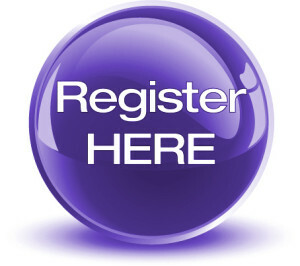 It mainly concerns on the modern impact and technologies in Food & Beverages and other relevant to Food, Beverages & Nutritional Sciences, as well as for initiation of new assessments and technologies and the effectiveness of various regulatory programs on Food & Beverages 2019 conducts presentations, share knowledge, meet with present potential and eminent scientists, and receive name recognition at this two days event. Our aim is to aggregate community and to create a platform for exchange of information on technological developments, new scientific innovations and the effectiveness of various regulatory programs towards food & Beverages 2019. It provides a premier technical forum for expressing and knowledge about the advanced research and developments, as well as exploration of new applications, technologies and to explore new trends in the field of food & Beverages Science & Food Technology. Food & Beverages Conference in 2019 in London, UK organize Food Meetings in the fields related to it like Food Microbiology, Food & Beverages Sampling and Nutritional Science, Food Science, Food Technology.